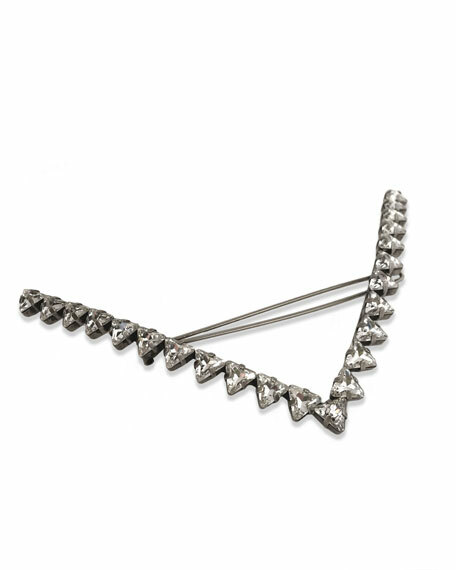 Lelet Ny "Vee" shark tooth barrette. 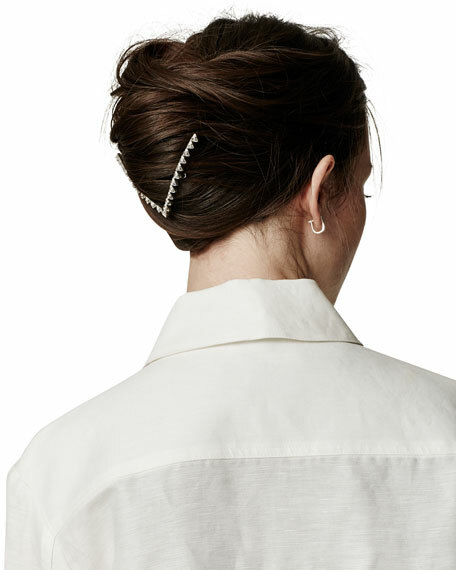 Colette Malouf "Gemology Luna" ponytail holder. Featuring gradient Lucite acrylic piece. Mokuba round elastic band. Brass logo bead. 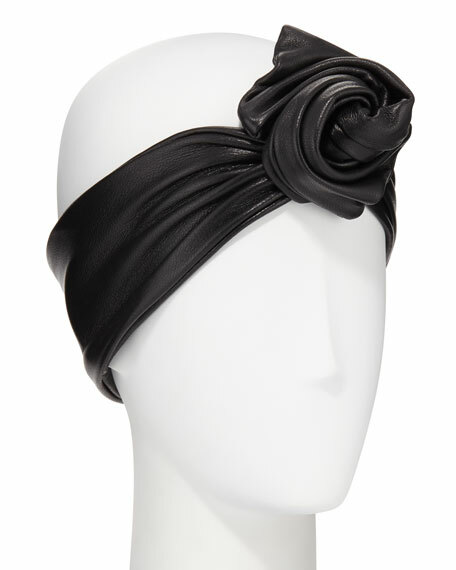 Epona Valley "Glemby" head wrap in lambskin leather. Self rosette knot detail at front. May be worn in multiple ways. Approx. 3.5"W. Made in USA of imported materials. Epona Valley "Isa" ponytail holder with mini leather roses. Completely handmade, leaves and petals cut and shaped by hand. Approx. 3"W x 2"D. Lambskin leather. Made in USA of Italian material.